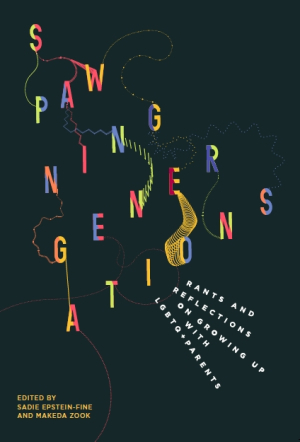 Spawning Generations is a collection of stories by queerspawn (people with LGBTQ+ parents) spanning six decades, three continents, and five countries. This anthology is about carving out a space for queerspawn to tell their own stories. The contributors in this volume break away from the pressures to be perfect, the demands to be well adjusted, and the need to prove that they turned out “all right.” These are queerspawn stories, airbrushed for no one, and told on their own terms.